You’ve probably noticed that while some businesses now process chip cards, others have a sign taped over their reader saying something like “no chip cards yet.” This begs the question — do businesses have to accept chip cards? You could incur unwanted charges. Businesses that don’t yet accept chip cards could find themselves saddled with unwanted charges. That’s because under the liability shift (which went into effect in October 2015), sellers that aren’t set up to accept chip cards could now be held liable for certain types of fraudulent transactions. To protect your business from these types of charges, you need to implement a POS that can accept chip cards as soon as possible. Chip cards are more secure. Fraud prevention is the entire reason the United States is getting rid of magstripe-only cards. Magstripe cards are decades old and run on antiquated technology that makes them extremely susceptible to counterfeiting. (It’s relatively easy for fraudsters to “skim” and clone the information off the magnetic strip on the back of the card.) Chip cards, on the other hand, are much more secure. They have advanced security features that dynamically encrypt each transaction, keeping bank details safe. Most people now have chip cards. Chip cards are quickly becoming the standard for credit cards in the U.S. (other countries have been using chip cards for decades). 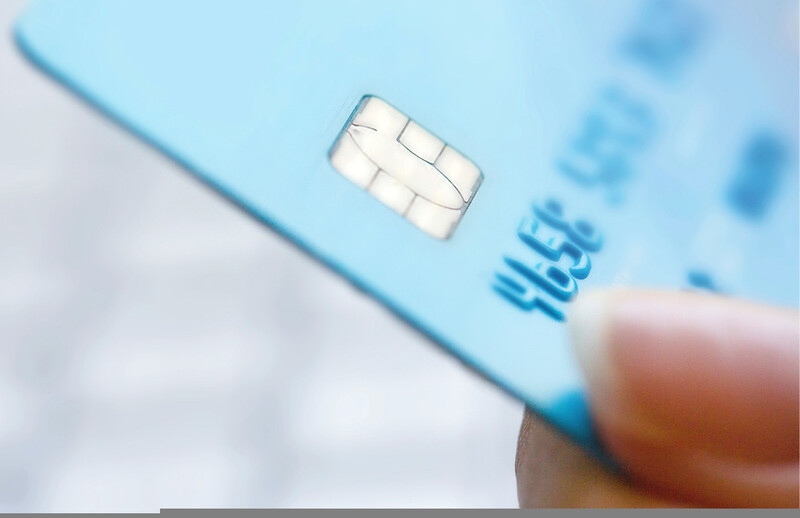 Most Americans have already received replacement cards with chip technology from their bank. To keep your business current with the U.S. payments landscape, adopting a chip card reader is a must. When you purchase a new chip card reader for your business, it’s a smart idea to go with a solution that can also accept mobile payments like Apple Pay, Android Pay, and Samsung Pay. Mobile payments are just as secure as chip cards (if not more than) but are much faster and more convenient. The Square contactless and chip reader, which retails for $49, accepts both chip cards and mobile wallets.